Getting a windshield repaired or auto glass replaced no longer has to take place in a full service brick-n-mortar garage in the Pasadena area of Southern California. If you find yourself in need of high quality auto glass services, then you should take advantage of the mobile windshield repair service offered by Mobile SGV Auto Glass. Our company has been open for business for 12 years and counting now, and our mobile technicians are some of the best at what they do. You will never have to deal with annoying delays with our service staff having to come back to the main office for tools, parts or materials. Each of our service vans is stocked for full service, and you will be simply amazed at what our highly skilled technicians can accomplish for you. Whether you need window tinting, or other car glass services, Mobile SGV Car Glass should be your first call when tragedy strikes. Our company has been open for 12 years and counting now, and we continue to be one of the highest rated service providers in Pasadena. Our highly experienced mobile glass repair team just doesn’t know how to fix issues with your auto windows. We also know our way around working with your insurance company. In many cases, our friendly staff is able to help our customers determine if their insurance agent will waive the deductible for fixing the auto glass on their automobile. In these cases, we are able to eliminate any out of pocket expenses that our clients have to spend to get their car glass repaired or replaced. 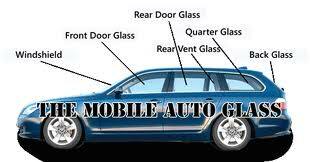 If you have any questions regarding our mobile auto glass services, please give our staff a call today. We are always happy to answer your questions, and we will never steer you wrong. We want our prospective clients to feel 100% comfortable with our team, and we look forward to your phone call today. Our company policy is to always provide you with a free estimate on our work, and we deliver a 100% warranty on all work our team does for you.